Walz Hall was the first expansion dorm built in the years immediately following the admission of women. In October 1958, after the first full year of coeducation, the Board of Trustees voted to approve additional dormitory space for approximately 60 new female students. The suggestions included enlarging the Dean’s residence (later Bernheim House) or building an additional wing on West Hall (Brown), the original women’s dormitory. Ultimately, a $150,000 donation by Mr. and Mrs. Harrison W. Prosser of Hellertown enabled the College to construct a new building. Mr. Prosser was a retired druggist, and while not an alumnus, was described as “long interested in the College.” The Prossers were prominent donors in the Lehigh Valley at this time, contributing to other area colleges and to the Muhlenberg Medical Center. 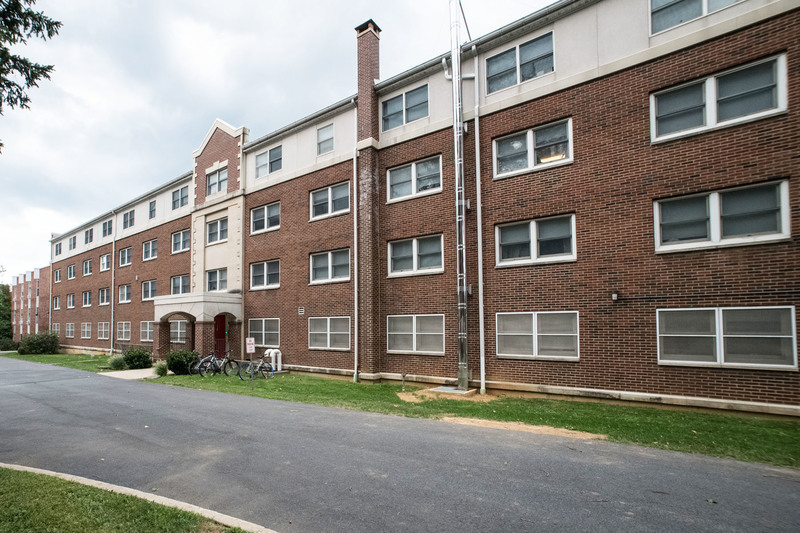 The original dormitory was intended to be two stories high and house 84 female students, but the Prossers offered to increase their initial $100,000 donation by $50,000 to allow the addition of a third floor, and thus 40 more students. 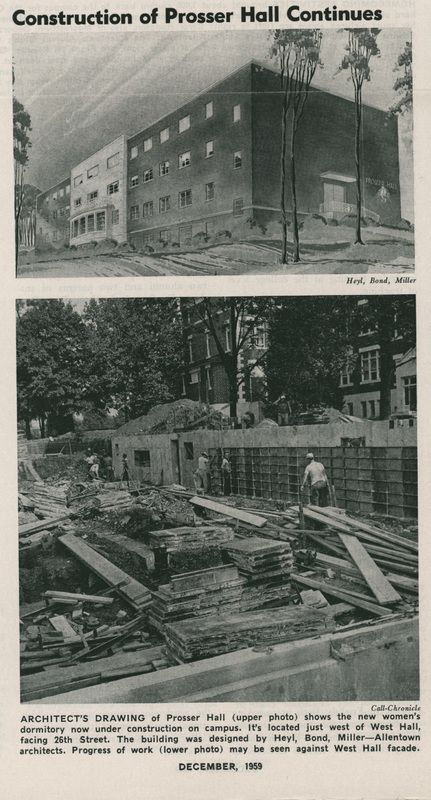 The building was designed by Heyl, Bond, and Miller of Allentown and constructed of masonry and steel, with a brick and limestone exterior. The general contractor was L.W. Hunsicker Co. The first floor contained a reception lobby and an apartment for a housemother; Elizabeth Patton served as the first director of the dormitory. There were kitchenettes and lounges on all floors. 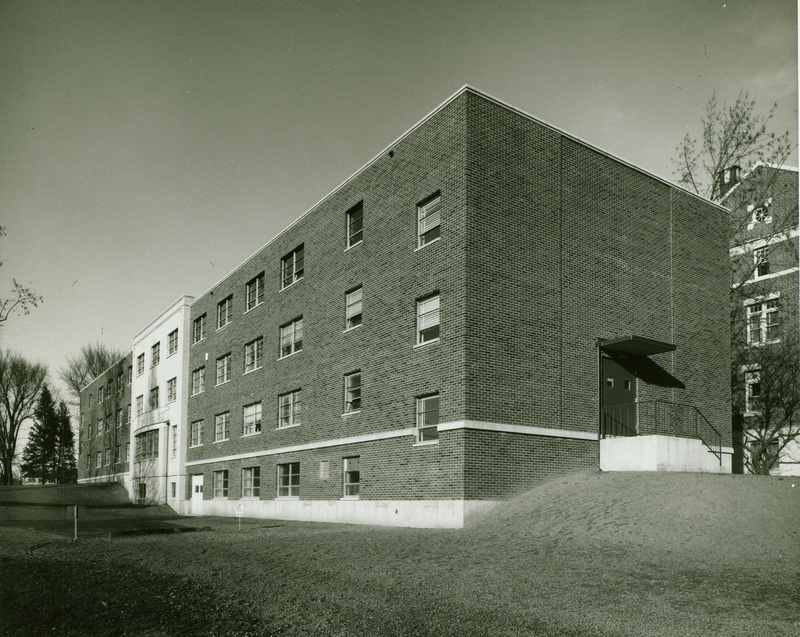 “Prosser Hall” was dedicated on September 15, 1960, at the opening convocation of the academic year. At that ceremony, Mr. Prosser was granted an honorary Doctor of Science degree. 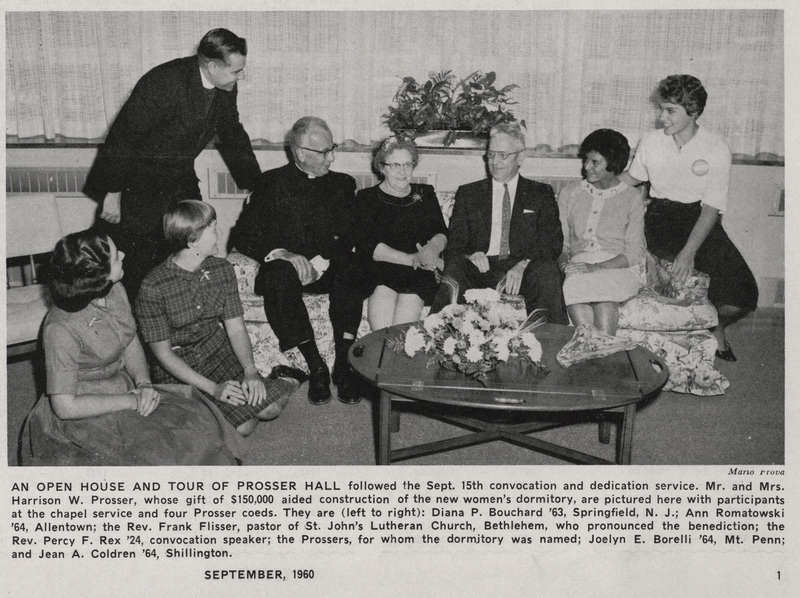 When the Prossers donated a further amount a few years later for another dormitory for women, that new building was also christened “Prosser Hall,” and this building was renamed “Walz Hall;” “Walz” was Mrs. Prosser’s maiden name. Special Collections and Archives, Trexler Library, Muhlenberg College, “Walz Hall (1960),” Muhlenberg Pathways to Present, accessed April 23, 2019, http://pathways.trexlerworks.muhlenberg.edu/items/show/17.